“Kyoto Cinema” is a movie theater that I think is worth a special mention in Kyoto. It’s located on the 3rd floor of the COCON Karasuma building, accessible from Shijo station on the Kyoto subway line, or Karasuma station on the Hankyu Kyoto line. The gems shown at this theater are hand-picked from Europe, Japan, the US, countries throughout Asia and the world. 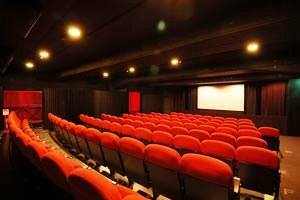 I find myself coming here a lot when I want to see European movies or something I can’t find elsewhere, and especially enjoy the small and cozy size of the theater. The shops within COCON Karasuma are also attractive, perfect for shopping and dining after the movie.